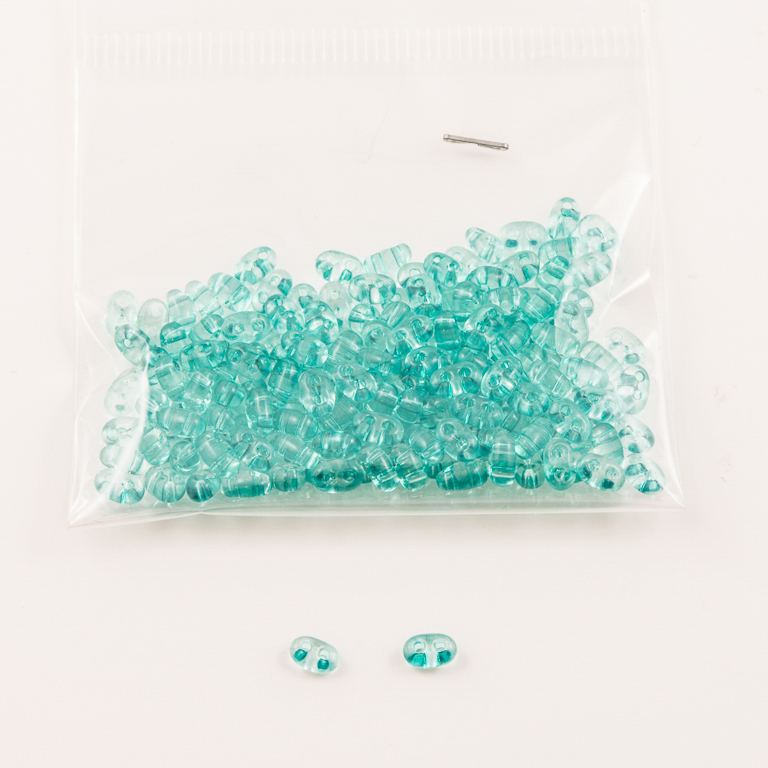 Glass flat beads in light blue color with two holes. The unit price corresponds to 10gr. It contains 200 beads approximately.